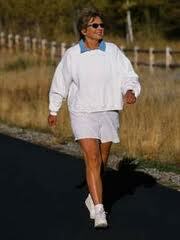 walking just a physical activity or does it also affect our brains? essence, to walk is to be human. aerobic exercise for losing and sustaining long-term weight loss. the week, is the optimal exercise to reduce blood pressure. helps to reduce blood sugar, according to a government study. blood or it gets stored in your muscles in the form of glycogen. of your brain to process tasks. begun to interfere with basic bodily functions such as swallowing. day. Demand that your body coordinate itself. Walk, walk, walk.